Friend or Relative begins with "My"
A sterling silver identity necklace for little ones, personalised with an emergency contact if they are lost and need to be found! A perfect kids accessory that all parents and relatives will love too. 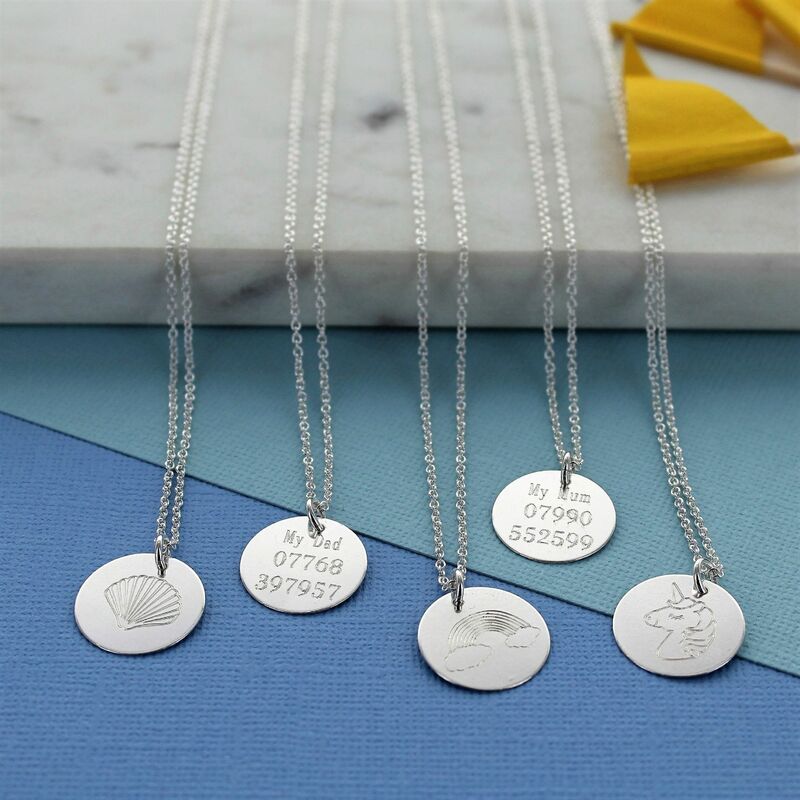 The identity necklace has that important personalised engraved telephone number as a contact if you come apart from your little ones in a public place. A great precaution on holiday, at the airport, festival or every day shopping in the supermarket for example. 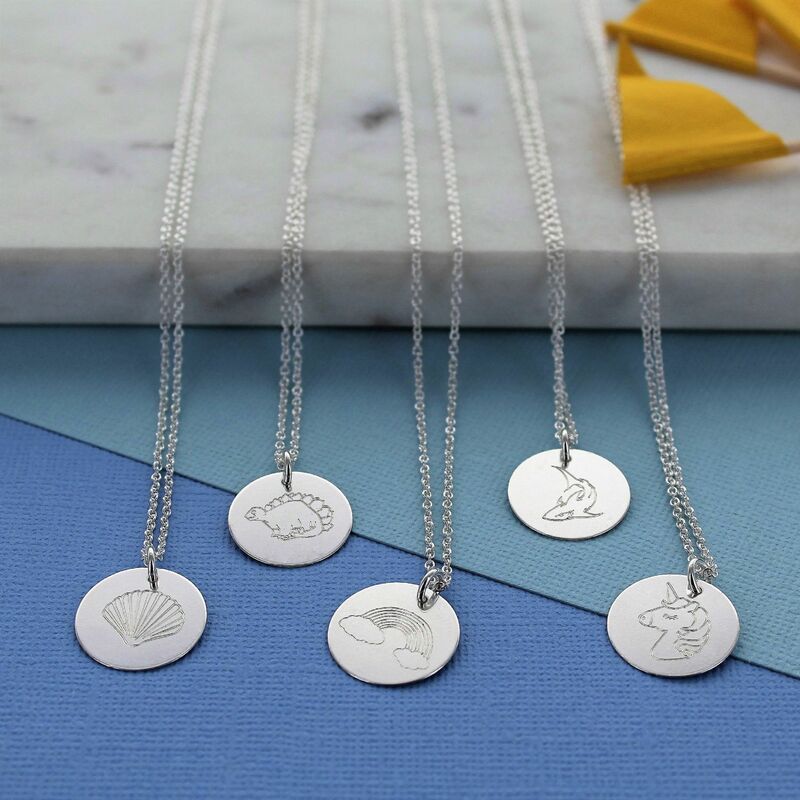 Each sterling silver necklace has a cute illustration on the front with five designs to choose from to make the identity tag more fun while still keeping the really important contact information on the reverse side. 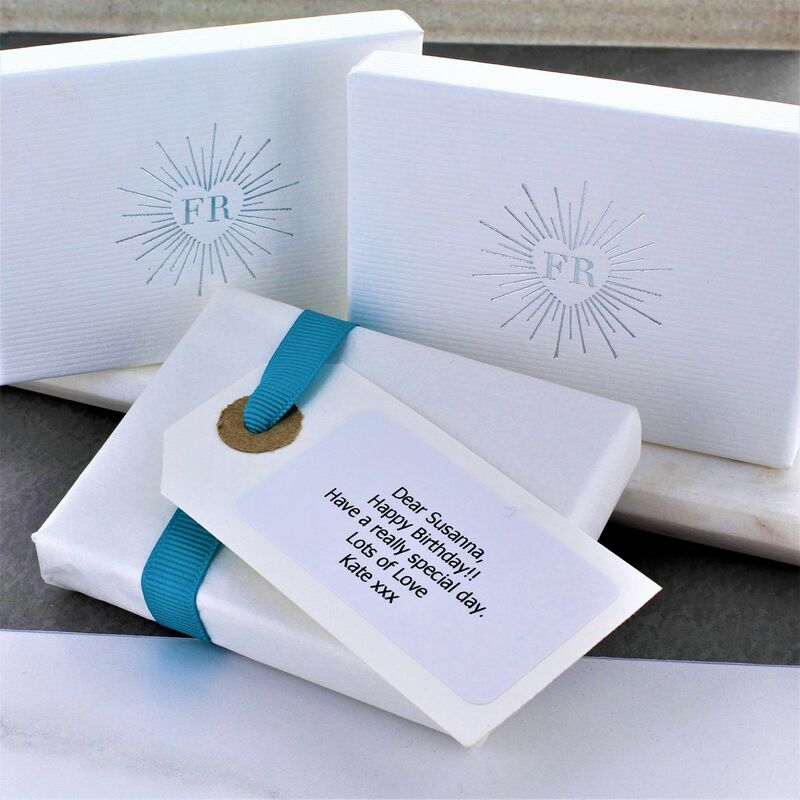 This would make a great gift for any child or parent with each piece arriving in a beautiful white gift box and contrasting silver logo. Available with a Rainbow, Dinosaur, Rainbow, Unicorn or seashell design.